Ross Howard Music will soon be launching the most incredible musicians and artists available for your corporate functions, weddings, special events and launches. Would you like to be placed on our GIG HIRE notification list? Drop us a mail with your contact details and we will share updates with you regarding this exciting new bespoke musical and gifted offering. "Mpho" have been together for more than 6 years, and performed all over South Africa. 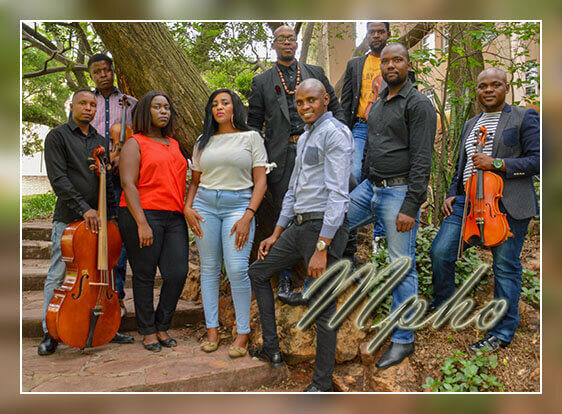 Mpho is a versatile group, not merely focusing on a single style, but rather embracing various genres, such as Pop, Jazz, African Ballads and Gospel. However, they are especially loved for their Classical tunes. The much awaited fully South African 9 piece band will be launched right here on Ross Howard Music. For your entertainment and listing pleasure contact us today for more information and date availability.